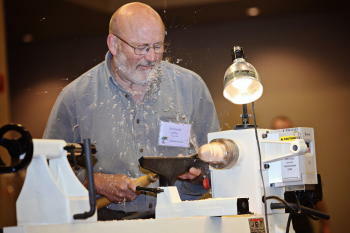 Glenn Lucas is teaching five 1-day hands-on woodturning workshops before and after the symposium. Class dates before the DWR are Feb. 24 and 25; dates after the DWR are Feb 29, Mar 1 and Mar 2. 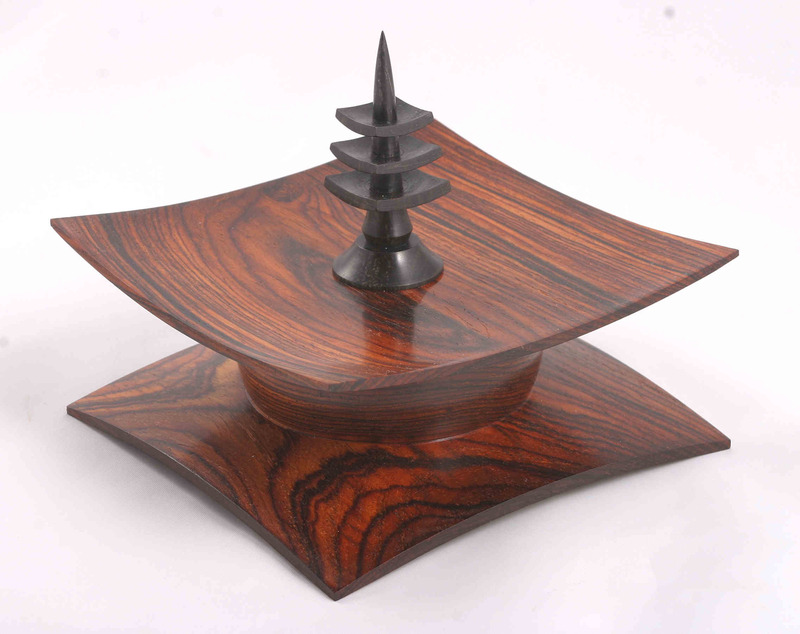 Reserve your chance to learn from a woodturning master. Hands-on classes are limited to six participants per day; 30 participants total. These classes cost $200 per student, plus a modest fee for materials. Sign-up is first come, first served. (We will also have a "wait list" in case someone needs to cancel out.) So don't delay your DWR registration if you wish to sign up for a Glenn Lucas class. A separate registration and fee are required for the Glenn Lucas classes. Friday evening join us for a turn-off contest with the demonstrators. Brave registrants who choose to, can join a fellow woodturner and test their woodturning mettle. The winner is the one who can turn the contest item in the fastest time, with the best quality. Details to come. This event is open to the public, free of charge. A variety of raffles will be held throughout the weekend. 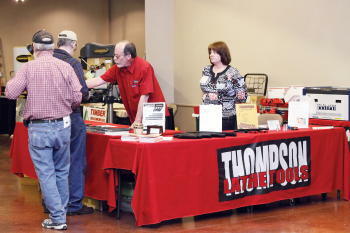 Prizes may be woodturning related, woodworking related, or of general interest. The biggest raffle will be a full-size lathe donated by NOVA Woodworking and Woodcraft of Phoenix. This lathe is a new model for NOVA, not even available in stores yet. It is the exciting new NOVA GALAXI DVR1644; valued at $2,500.00. You can learn more about this lathe and the raffle here. Area woodturners have donated some of their finest woodturned pieces for the DWR silent auction. Proceeds solely benefit educational woodturning programs to be held in the Valley of the Sun. The instant gallery continues to be one of the mainstay attractions of the Desert Woodturning Roundup. The gallery will be open to the general public. Fine pieces will be displayed by demonstrators, and attendees from throughout the nation. 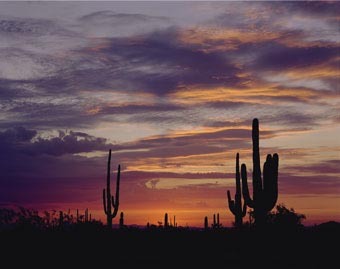 Regional attendees often bring pieces representive of the materials and design influences of the desert Southwest. The Instant Gallery is open to the public, free of charge. Saturday night, we continue the tradition of the DWR banquet and auction. Join us for an evening of fine food and conversation. 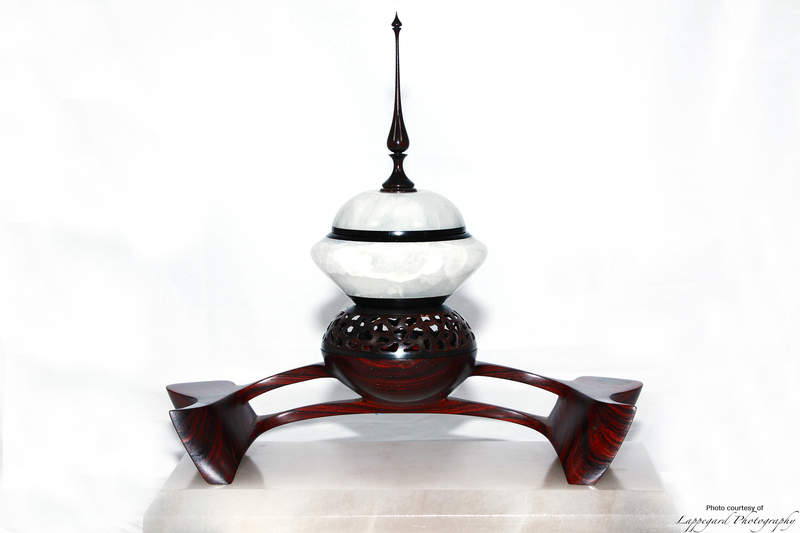 This is also your opportunity to bid on fine quality woodturnings to add to your collection. The proceeds support educational programs promoting the woodturning craft in the Valley of the Sun. 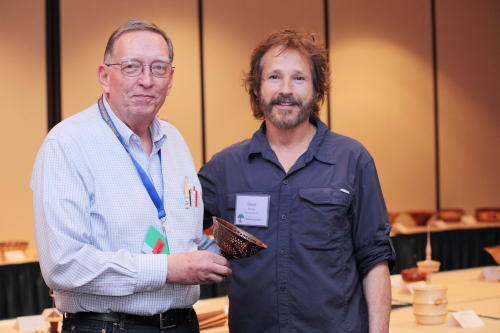 Our banquet also honors woodturners who have contributed greatly to the art and craft of woodturning, with the Desert Woodturning Roundup Recognition Award. 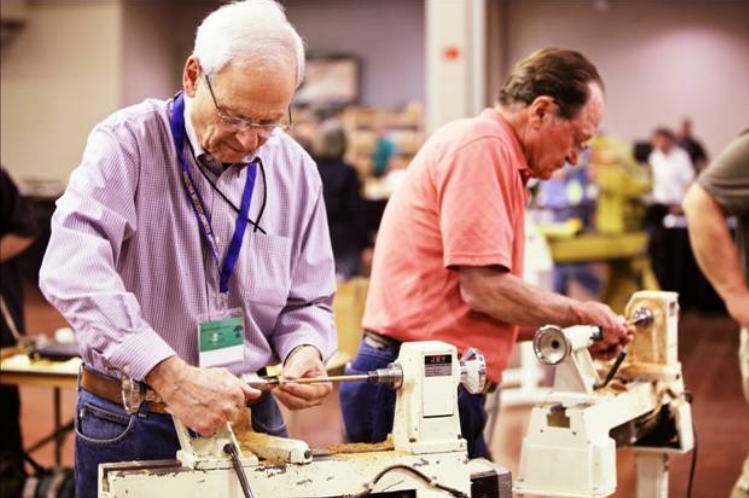 Recipients have demonstrated a high level of skill, promoted woodturning locally and nationally, and have exemplified excellence in mentorship of new woodturners. Looking for that special tool you saw used in a demonstration? Stop in our Vendor Area and pick one up at a discount. You'll save on shipping costs by buying it direct at the Symposium. If you do need an item shipped, we will have representatives from the UPS store on hand to ship your item home. Some vendors will also be demonstrating their latest gadget to make your woodturning experience more enjoyable. One can never have enough tools. This is also your chance to pick up local woods that are hard to find in other parts of the country. The Vendor Area will be open to the public, free of charge. To see which vendors will be attending, click the vendors link to the left. The Craft Room is located on the second floor; enter from the lobby. This area is open to spouses or companions of registered attendees. The craft room is a place for you to relax, work on crafts, read or just enjoy the Arizona sunshine on the outdoor patio. Craft Classes will also be held in the Craft Room area. Craft Classes are available to spouses or companions of registered attendees. Class well be held on Saturday and Sunday, and are available on a first come first serve basis. Check with the Craft Room volunteer for available spots. With your registration packet, you receive a Desert Woodturning Roundup 2016 T-shirt in the size of your choosing. It's fashionable to wear at your next woodturning event -- or black-tie affair. Check your favorite chat room or discussion board for informal happenings taking place before or after the symposium. Photos of instant gallery items, action shots from demonstrations, and pictures of people just having plain old fun will be available on this website shortly after DWR2016.